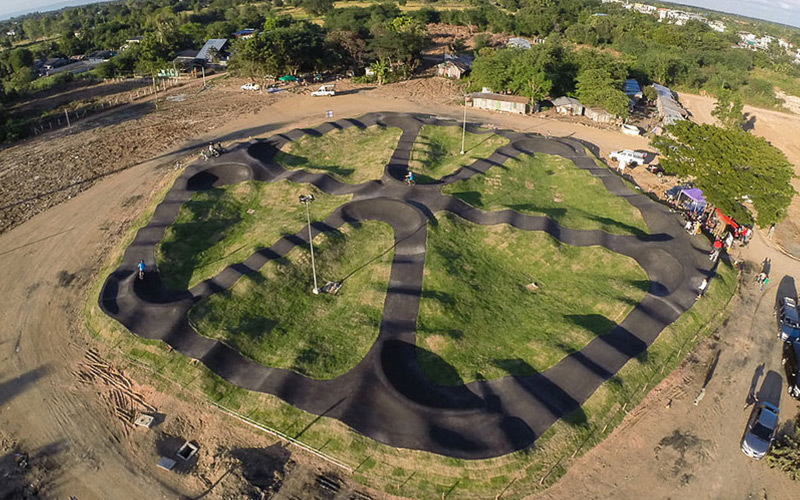 Pump tracks and bike parks are springing up in the United States and around the world with increasing frequency. 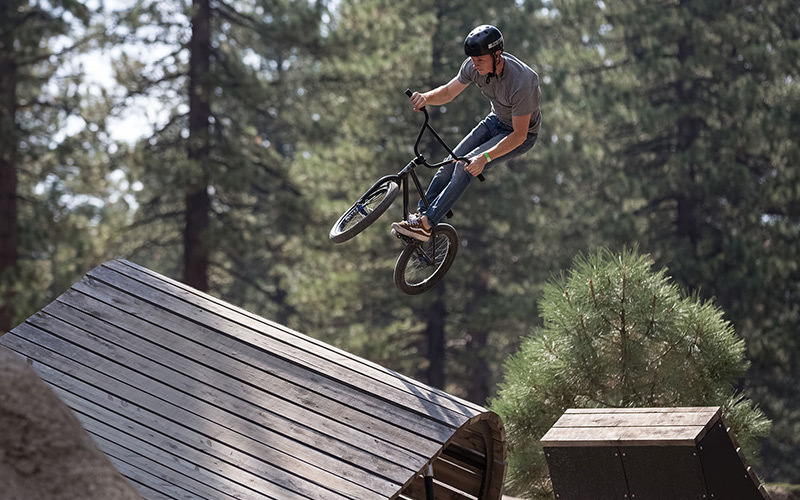 Made from a variety of materials from asphalt, to wooden planks, to dirt, these parks typically have technical features like berms and jumps where experienced riders and beginners alike can sharpen their bike handling skills, get exercise, and have a blast. We got a firsthand account of how bike parks and pump tracks can have positive effects on their communities from three experts in the field: Claudio Caluori of Velosolutions, Ben Fish of TAMBA, and Dave King of Dirtsculpt. How’d you got involved with bike park and pump track building? Being a pro racer in the early days meant that we had to build our own pump track to have good places to train and ride. I started by building stuff with friends and it has progressed into a career. 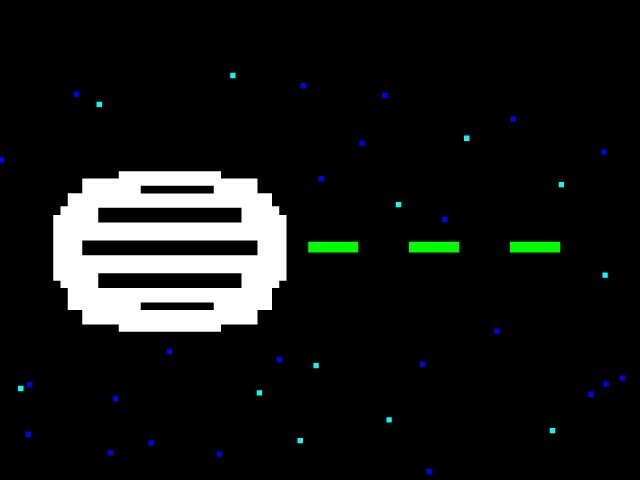 What’s one of the most memorable projects you’ve worked on? You know, each one is special, but our first project in Asia, which was in Thailand, was a real eye-opener. Seeing all the kids coming out of their homes and ride whatever they had all day long made me so happy. How do you think this project impacted its community? In Thailand, there were all sorts of effects. Kids became healthier, gained confidence, and found a new hobby they love. 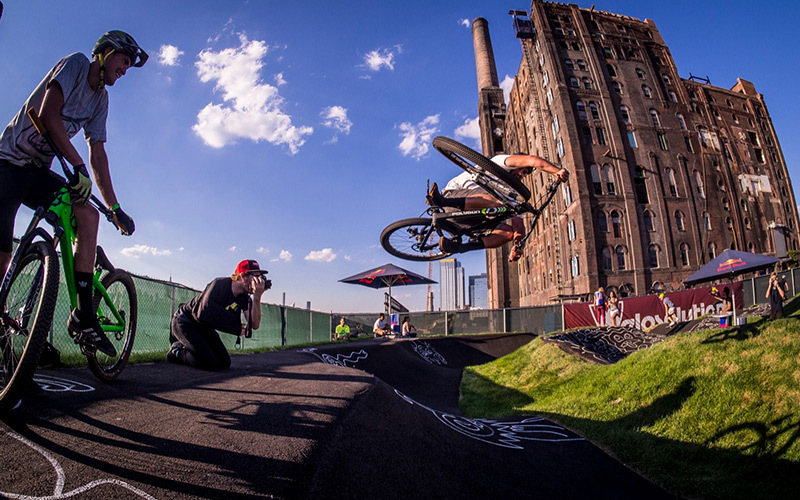 The city is now is an active part of the BMX racing scene, and there’s a hotel that has been built around the pump track, but all the kids from the city still have access to the track. What kinds of community changes do you see in the short-term and long-term when you build a pump track or bike park? Short-term: Kids spend more time outside and less in front of their screens. They become healthier and happier. Bike shops gain more traffic and customers as more people become interested in riding at their local park. Long-term: People generally live a healthier lifestyle and usually stay involved with the sport or come back to it. What kinds of people ride in bike parks or pump tracks? The answer for pump tracks is: EVERYBODY! We have kids, beginners, amateurs, pros, and old people on bikes, skateboards, inline skates and scooters. And this really applies to every project we’ve worked on so far. That’s 22 countries on 6 continents. What kind of gear do new riders who want to check out their local bike park or pump track need? You don’t need a super fancy bike! You don’t necessarily need gears, you don’t necessarily need suspension, just a bike with a low seat. Even strider bikes work. To put it in perspective, the kids in Thailand are riding their bikes with pedals that fell off a long time ago with bare feet on the ground. What kinds of skills and knowledge do these riders learn? Kids and grown-ups alike seem to get the hang of it within minutes. There is no real entry level needed as you can roll all of our elements without having to jump a gap or anything. 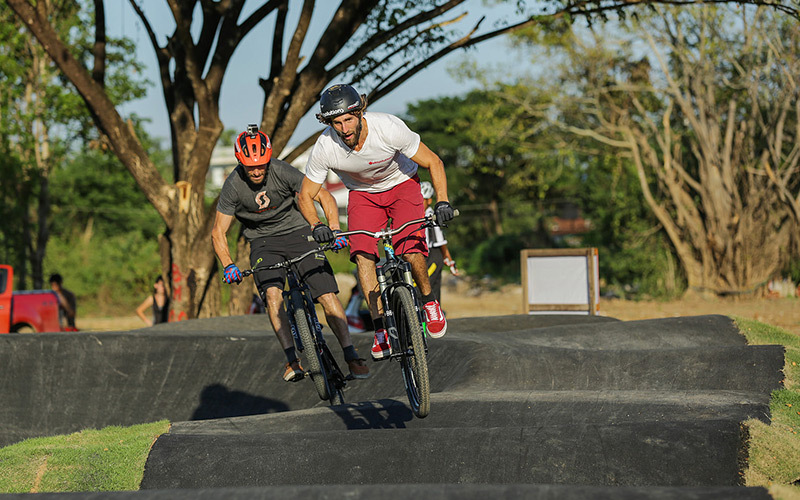 A good pump track allows you to start as a beginner and progress all the way to an expert level. How do pump tracks and bike parks contribute to the bike industry? The direct effect is most of those kids will want a bike soon, or a better one. A lot of people buy a BMX or mountain bike. 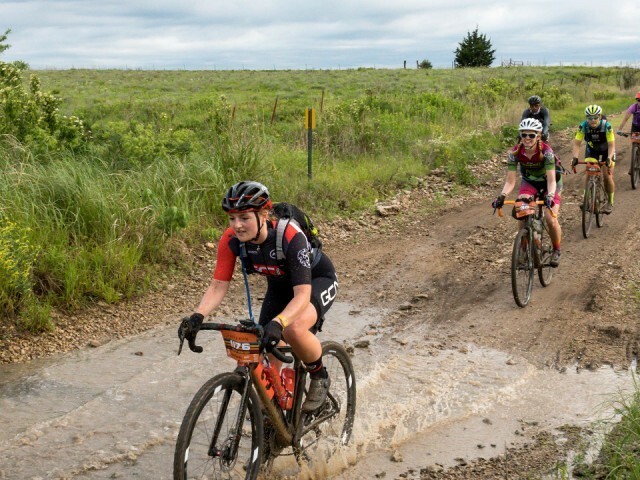 Many people who ride pump tracks will eventually try mountain biking on trails, and will love it because they’ve already developed those skills. The canton of Graubünden in Switzerland realized this and supported every town that wanted to build a pump track. The goal was to get the local population on mountain bikes so that the locals understand what the tourists want - just like they understand what tourists want when they come skiing in the winter. 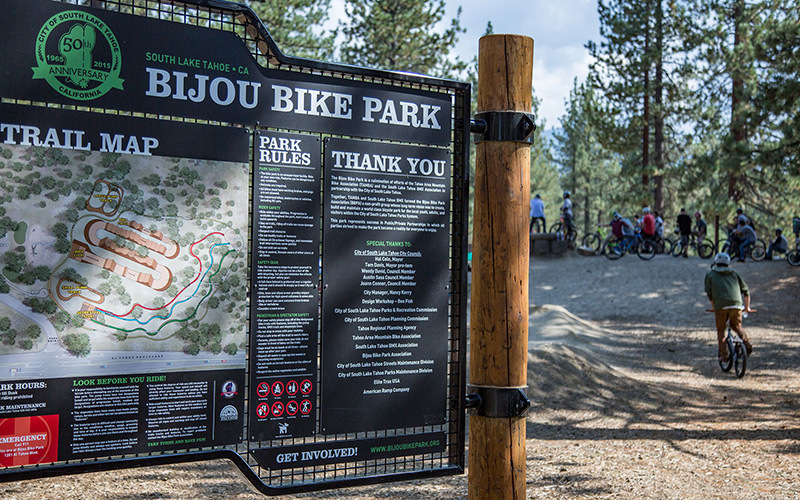 I was one of the original board members of the Tahoe Area Mountain Biking Association (TAMBA) and my profession as a landscape architect lent itself well to building and designing parks. My son was about a year old at the time so I had this desire to create a community bike park that kids could use. The Bijou Bike Park for sure. It took so many years to get approvals and funding, but when it finally came together it happened so fast and the community loved it immediately. The city recently had its 50th anniversary and we ended the celebratory parade at the bike park for the grand opening, which was really cool. How do you think that project impacted its community? It's helped reach a demographic that isn't as easily reached on the mountain bike trails. You can have a really inexpensive bike and still be a superstar at the bike park. There are also a lot more families and younger kids that ride at bike parks. Most parents start their kids here before they are even two years old. Were there any barriers or hurdles that had to be overcome to complete the Bijou Bike Park? Selling the idea of a bike park was a challenge because it’s not a common use of public land like a soccer field. 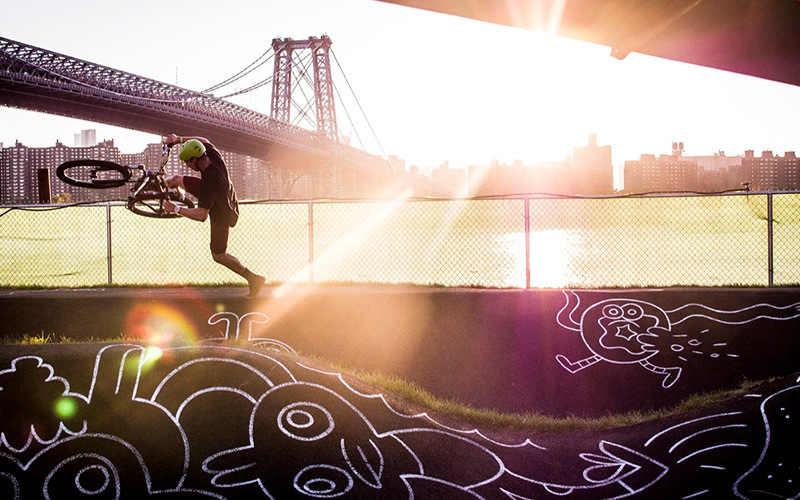 There are only about 100 public bike parks in the country compared to about 30,000 skate parks and countless other sports fields. The permitting process was challenging too. First, we had to get recommended in the Parks and Recreation Master Plan, then we got the Parks and Rec. Commission approval and the Planning Commission approval and, finally, the Tahoe Regional Planning Agency approval. TAMBA raised $15,000 during that time. We thought fundraising was going to be the hardest part, but then the city recognized the value of the project and put nearly $200,000 towards the construction along with staff time and city equipment for construction! We can’t thank the City of South Lake Tahoe enough. Who were the key players? City council, local organizations, bike chapters? What was their role? We led and continue to lead through TAMBA. We even have a paid staff person through TAMBA now. What kinds of people ride at Bijou? Kids and families, experts, pros, and visitors to Tahoe. Basically, everyone! Overcoming any fears that you might not be a good enough rider can be a barrier for some. Many people see the rad photos of the bike park and assume everyone rides like that, when in reality, the majority are beginner and intermediate riders. I’ve been building pump tracks and riding bikes my whole life! I started out by building wooden ramps and dirt jumps, then I moved on to BMX trails in the woods behind my house. In 1998, I got the chance to go to Woodward Camp to help build beginner jumplines (similar to what we’d call a pump track today), and that’s where I got my start as a professional. It's hard to pick just one, but I’d go with the pump track in Philipsburg, Pennsylvania. It was a small budget project but I had a good feeling about the guy who contacted me about the build. He was just a local who wanted a pump track. He was willing to do whatever we needed to do to get the job done. How did that project impact the community? Tracy, the guy who helped get the track built, and his family have a Friday night pizza party at the track they said at the least 50 people would show up and ride and hang out! So that alone changed a that town in a positive way. 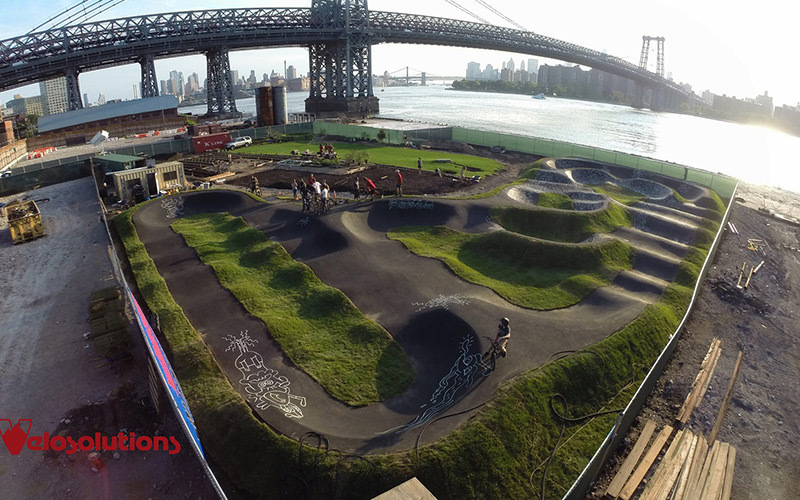 What kinds of changes do you see in the short-term and long-term when you build a pump track or bike park? It not only gets people who use to ride back into it, but gets new people into riding as well. Not to mention the family aspect behind it all! I take my 4-year-old to the pump track all the time to ride together - it's a pretty great feeling! Basically, just one local guy named Tracy who wanted to have a pump track in town. We worked with Public Works a bit too, but it was really led by one person. That shows that anyone could pursue a project like this and make it happen if they want to. What kinds of skills and knowledge do riders of pump tracks and bike parks learn? 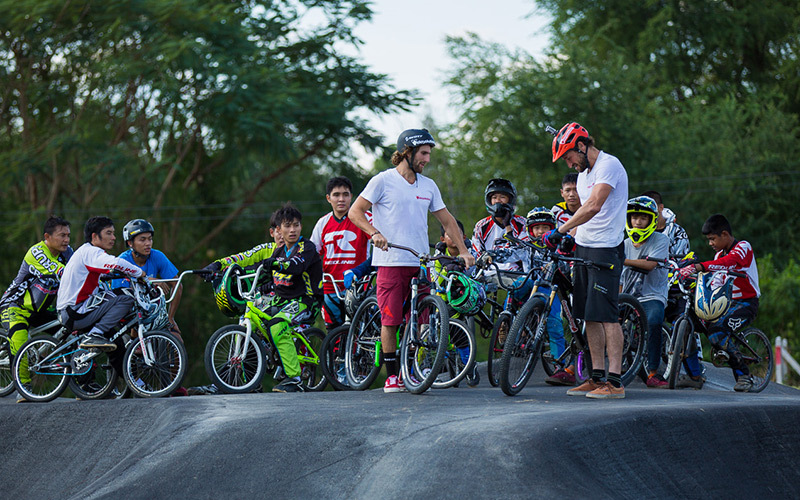 People who ride at pump tracks learn bike handling skills, and gain social skills from riding with all different kinds of people. The great thing about pump tracks is that they bring people of all ages and skill levels together, which doesn’t happen with other types of cycling as much.